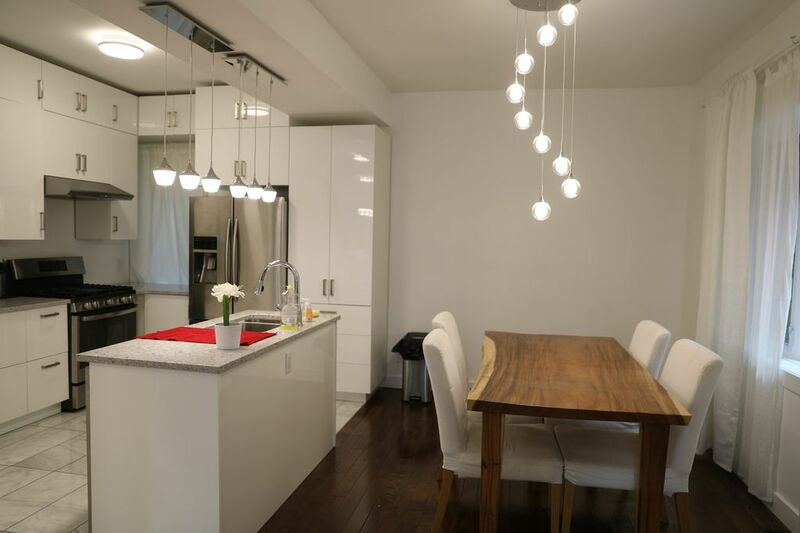 Luxury cozy wonderful 3 bedrooms house in the Glebe! A short walk to Bank Street restaurants & shops, Lansdowne Park, the Rideau Canal, and Dow's Lake. Near hospitals, downtown, the Parliament Buildings, and the Byward Market. The master bedroom with private bathroom & walk-in closet, another 2 bedrooms and 1 bathroom are all on 2nd floor. This house will be the ideal place for your short or long-term stay in Ottawa. One car parking is on site. Internet is provided and there is a smart tv which you can use your Netflix. The walk-out basement area of the house are separated and occupied by the owner. The laundry room is located in the basement. We arrived with a portopotty in the front yard right by the entrance. The property is under construction. We only used 2 of the 3 bedrooms. We had to wash both sets of sheets as there was hair on the sheets. The mattress covers are badly stained as are one of the sets of sheets. The floors were filthy and were obviously not vacuumed or swept, cupboards very dirty, fridge dirty, crumbs on the table, crumbs on the chairs and there were even crumbs on the sofa. There was a plate of very smelly food left in the microwave. The house accommodates 8 people but there were 3 forks, 3 large spoons and 2 knives so poorly equipped. Very disappointing and given it was under construction we should have been notified and perhaps had a better daily rate. I had to call to get info for check in and when I mentioned the construction they didn't seem to understand. On a positive note the location is good and if it wasn't so dirty the place itself it nice enough although there are no pictures and the walls are really marked up. The bathtubs, shower, sinks, etc were clean but as I mentioned above floors were not even swept. I don't think what you said was right. If the situation was true, usually, the guests would call the host to clean again or cancel the reservation. We allow the guests to cancel free if the house condition doesn't match the standard.